GARFIELD COUNTY – An Antimony man who was reported missing Friday after he left home to go elk hunting Thursday morning has been found. 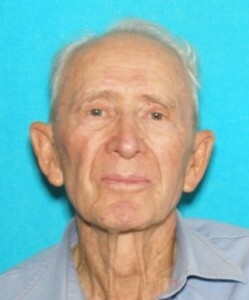 George Jolley, 89, was found alive, according to a press release issued Friday evening. Cheryl Church, Garfield County Sheriff’s Office public information officer, said details surrounding Jolley’s recovery would likely be released Saturday. Jolley went elk hunting in Antimony Canyon around 9 a.m. Thursday and hasn’t been heard from as of Friday. He has issues with dementia, according to an earlier press release. Garfield County and Wayne County search and rescue teams searched for Jolley in the Antimony and Escalante areas. A state helicopter also helped in the search. A good happy ending! Sorry but I have to ask. Should a person with dementia even have access to a gun? Will they remember the regulations on firing it? How about being allowed to drive ? Drivers license? Or maybe be allow to write a check? And of course, allowed to vote? Can’t be too careful. What happens if he forgets to enroll in time for Obama Care?